SUPERFREEZE PSCK -Series piston type, gravity closing, heavy duty check valves are suitable for ammonia R-12, R-22 and other refrigerants. 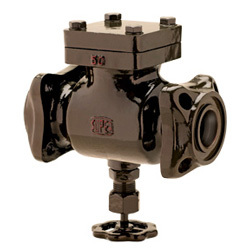 All PSCK check valves are flanged and have a provision for manual operation with the help of manual opening stem. The PSCK valves have metal to metal seats.